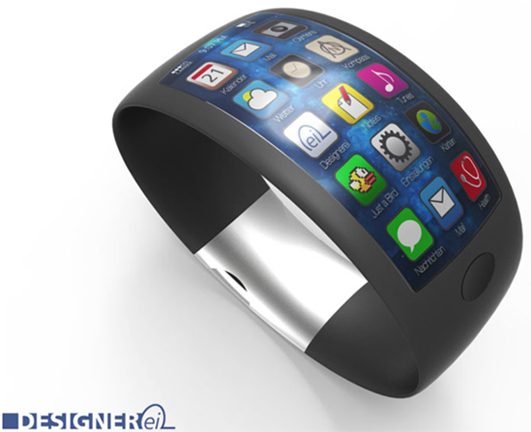 Three Apple suppliers have delivered samples of flexible circuit boards for the iWatch as the device is now expected to be unveiled in September, reports DigiTimes. The news follows a report yesterday from Taiwan’s Economic Daily News which indicated that the iWatch will launch in the third quarter of this year, with Apple targeting production of 65 million units by the end of 2014. A reveal in September would mean that the device would be released shortly thereafter, most likely alongside the iPhone 6 and iOS 8. While details about the iWatch have been slim, most reports have pointed to the device featuring biometric sensors to track a number of health-related statistics, including UV light exposure, heart rate, and skin temperature. Apple is also said to be releasing a “Healthbook” app with iOS 8 that will work with the iPhone and iWatch to track other health statistics like weight, heart, rate, and calories. flappy bird? not on my watch. This image used here have to be the ugliest concept so far, in my opinion. I like it! And what about calling that mock-up iSore. …..Flexible PCB suppliers Flexium Interconnect, Zhen Ding Technology Holding and Career Technology reportedly have delivered FPCB samples for use in iWatch devices to Apple for validation, according to industry sources…..Three Apple suppliers have delivered samples of flexible circuit boards for the iWatch as the device is now expected to be unveiled in September, reports DigiTimes (http://www.digitimes.com/news/a20140408PD218.html). If those flexible PCBs have only now been delivered to Apple as samples for validation, that seems like an awfully short lead time to get this device unveiled in September, or am I misreading that?